This is the centralized location where you'll find all updated links to the premium, members-only content. As new articles and features are posted, they will appear on the main home page, but eventually they will scroll off. Here is where you'll be able to find everything. 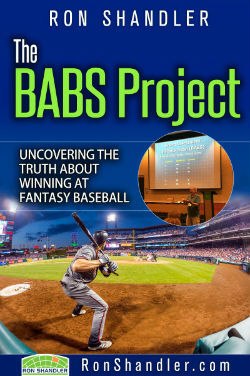 As a member, you'll also receive my "Ron's Hits & Errors" email every Friday, from mid-January through September. This email is your reminder about each week's new content, current events, special offers and general updates about Ron's whereabouts. please become a full member of RonShandler.com.